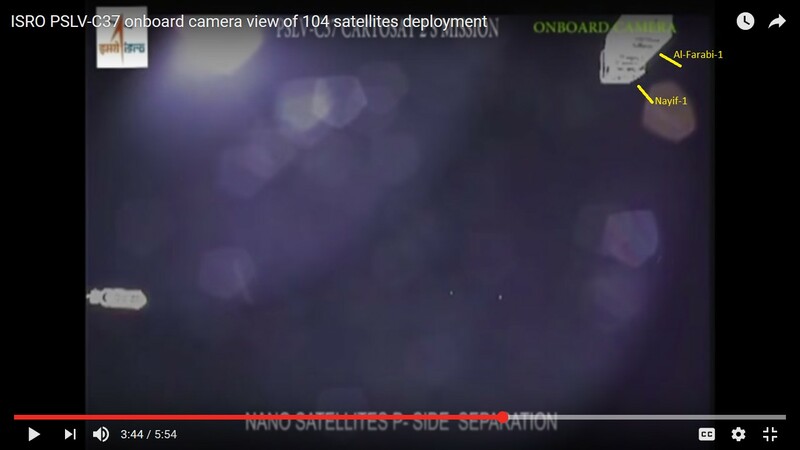 The Nayif-1 (EO-88) CubeSat has now been in orbit for more than two weeks and all systems continue to operate nominally. The power budget is positive, the spin/tumble rate is acceptably low, on board temperatures are perfectly okay and, importantly, the educational/amateur transponder switching is taking place autonomously as planned. More than 250 stations around the world have provided telemetry to the Nayif Data Warehouse and the FUNcube Team are extremely grateful to them for their invaluable support. The FUNcube Team have now updated the Dashboards for both Nayif-1 and FUNcube-1 so that they display only the telemetry received from the individual spacecraft that they are designed for. This will help users to display only the correct information and graphs and reduce confusion. Whilst they only display the data from ONE spacecraft, they will, as now, receive and decode the data from all FUNcube payloads currently in orbit and automatically submit it to the relevant Data Warehouse. 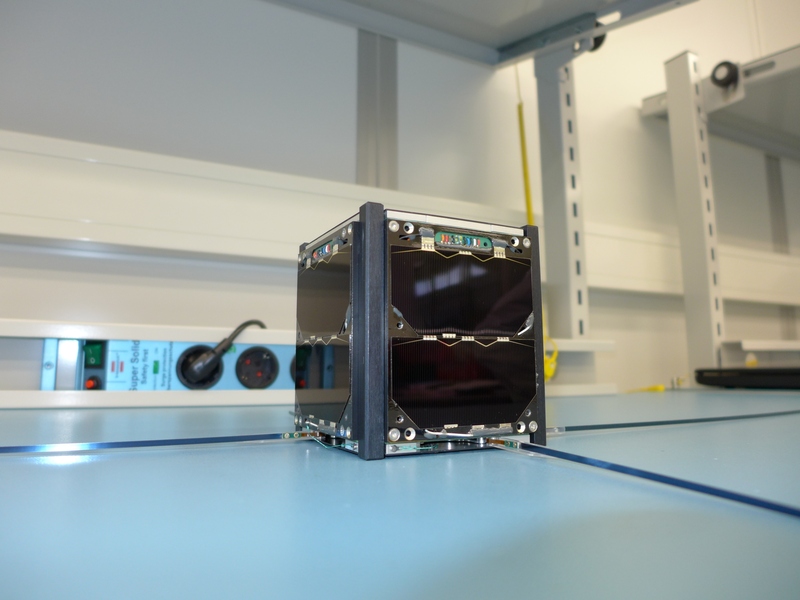 OSCAR Number Administrator Bill Tynan W3XO has announced that the Nayif-1 CubeSat has met all the requirements necessary to be issued with an OSCAR number. In accordance with the request sent to the AMSAT-NA Board of Directors for an OSCAR number for the UAE CubeSat, Nayif-1, and the statement that all of the conditions for an OSCAR number have been met, I hereby by the authority vested in me by the AMSAT-NA president, do convey on Nayif-1 the designation Emirates Oscar 88 or EO-88. Along with the rest of the Amateur Radio satellite community, I hope that EO-88 will meet all of its objectives. I wish you and your group the best of luck in this and future endeavors to keep Amateur Radio in space. The National newspaper reports a message by Sheikh Mohammed bin Rashid, Vice President and Ruler of Dubai, is being beamed across the world from space as the first to be transmitted by the UAE’s Nayif-1 satellite. Nayif-1 was launched February 15 from Satish Dhawan Space Centre in India and is being tracked by a team of scientists at a control centre at American University of Sharjah. 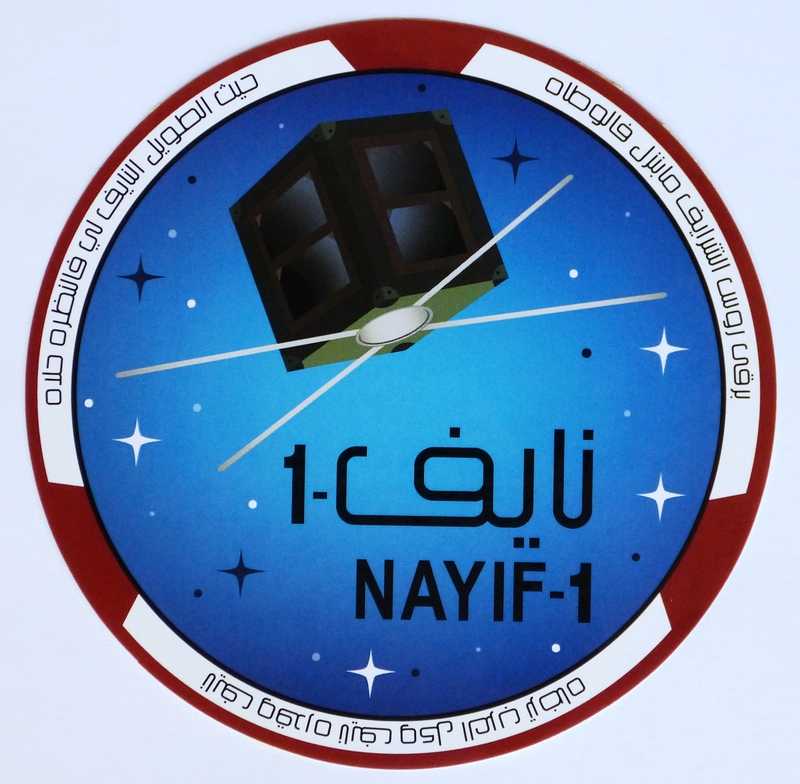 Nayif-1’s main mission objective is to send and receive messages on amateur radio frequencies. The nanosatellite boasts a number of advanced features, most notably it is programmed to transfer messages in Arabic. 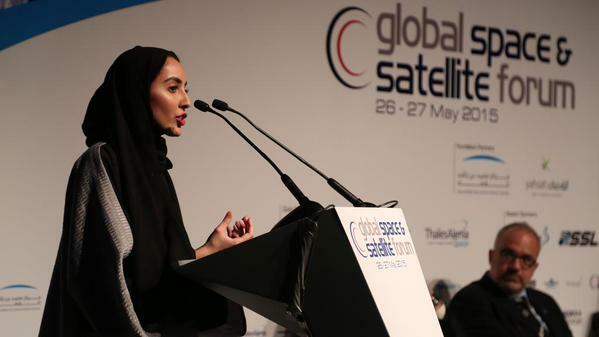 Fatma Lootah, deputy project manager of Nayif-1 at the Mohammed bin Rashid Space Centre, said the transmission was a landmark moment for the team. “There is a large community of amateur radio operators and if Arab operators get this message in their own language I think a lot of them will be inspired,” said Ms Lootah. At AUS, seven engineering students collaborated with the space centre in the designing, building, testing and operating of Nayif-1. The Indian Space Agency ISRO successfully launched the amateur radio satellite Nayif-1 along with 103 other satellites, a record for a single launch. The PSLV-C37 lifted off from the Satish Dhawan Space Centre, Sriharikota, Andhra Pradesh at 03:58 UT on Wednesday, February 15, 2017. Nayif-1 started transmitting about an hour after launch and radio amateurs in the west of the USA reported the first signals. The first frame of data received at the Data Warehouse was from Christy Hunter KB6LTY. Telemetry data was also received by WA6FWF, KA7FVV, WC7V, NC7V, K6FW, KE7QPV, WA9ONY, W5PFG, KK6AYK. Ken Eaton GW1FKY reports he received his first frames of data when the satellite came in range of the UK at 10:07 UT. The satellite looks to be in perfect health and it was placed in autonomous mode before the end of the first day in orbit. Just like FUNcube-1, this mode has the spacecraft sending high power telemetry when in sunlight and with the SSB/CW transponder active when in eclipse. Already many contacts have been made through the transponder. As expected, the frequency stability of this spacecraft is much better than its predecessors. Please note that these numbers are not based on JSpOC observations so we do not yet have a valid catalog number. During the Launch and Early Operation phase (LEOP) of the mission, the Nayif-1 command team have been headquartered at the American University of Sharjah Ground station in the United Arab Emirates. They have been very grateful for all the telemetry received from around the world. It has proven to be immensely useful to the team in checking that the spacecraft is functioning correctly. Our world-wide network has greatly impressed the many professionals that have been watching our activities. Already more than 100 ground stations are submitting data to the Nayif Data Warehouse. Please continue uploading the data as this will further enhance our knowledge about the spacecraft and the space environment through which it is traveling at 7.6 km/s. The Nayif-1 Data Warehouse has been updated and now includes the Whole Orbit, High Resolution graphs and the upload ranking. It also includes telemetry details from the ADCS sub-system – this is called the iMTQ and is capable of actively magnetorquing. Over the coming days, we will be further tweaking the warehouse, so bear with us if it is unavailable for short periods of time. 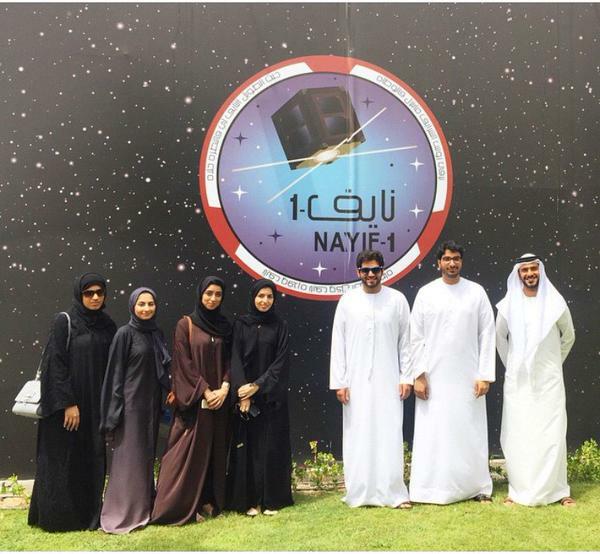 Nayif-1 has been developed by the Mohammed bin Rashid Space Centre (MBRSC) and American University of Sharjah (AUS). 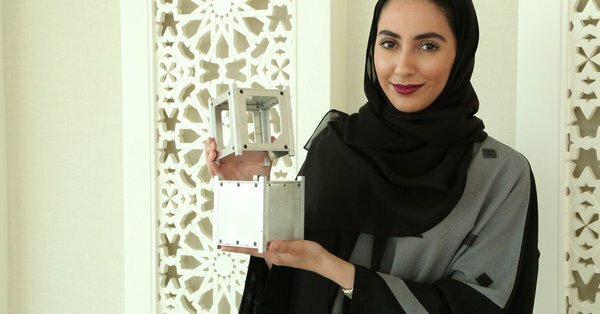 The UAE’s first Nanosatellite was developed by Emirati engineering students from AUS under the supervision of a team of engineers and specialists from MBRSC within the framework of a partnership between the two entities, aiming to provide hands-on experience to engineering students on satellite manufacturing. The spacecraft includes a U/V linear transponder and telemetry transmitter. It employs enhanced oscillator circuitry and includes an active attitude determination and control system. 145.940 MHz using 1k2 BPSK to the FUNcube standard. AMSAT-UK and AMSAT-NL are delighted to now be able to confirm that the Nayif-1 1U CubeSat, which has a full FUNcube payload, is now scheduled for launch on an Indian PSLV launch vehicle at 03:58 UT on February 15, 2017. 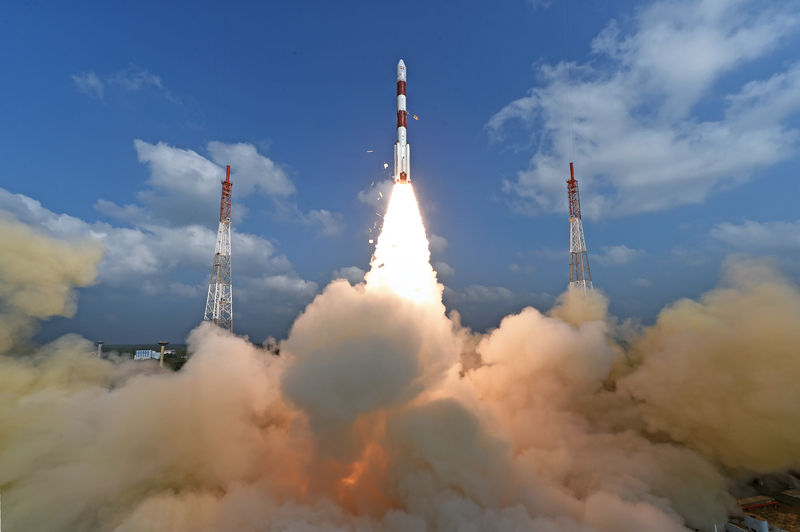 The flight, PSLV-C37, will be carry a total of 104 satellites into orbit. The 145.940 MHz 1k2 BPSK telemetry beacon, running 50mW output, should activate at approximately 04:54 UT on Wednesday, February 15 when the spacecraft is heading north over Mexico and the western parts of the US and Canada. During the Launch and Early Operation Phase (LEOP) of the mission, the Nayif-1 command team will be headquartered at the American University of Sharjah Ground station in the United Arab Emirates. They will obviously be especially keen to have all possible reports of signal reception during this first orbit! To encourage everyone to take part, there will be a small prize for the stations that submit the first data to the Nayif-1 Data Warehouse. Please help the team if you can. As with previous missions carrying FUNcube payloads, AMSAT-UK would very much like to receive as many reports from stations around the world, especially during the first few minutes and hours after launch. There is a mission specific Telemetry Dashboard for this project and this can be downloaded from http://download.funcube.org.uk/Nayif-1_Dashboard_1038_installer.msi and, in a similar way to the FUNcube-1 Dashboard, this will be capable of uploading the telemetry received to a central Data Warehouse. Please note that if you are already a registered user of the FUNcube Dashboard then you do not need to re-register. Your existing details will transfer automatically to the new Dashboard when you run it for the first time. Initial operations of the spacecraft will be in a low power “safe” mode where only the telemetry transmitter is activated. The United Arab Emirates newspaper The National reports on the Nayif-1 spacecraft developed by Emirati students from the American University of Sharjah in partnership with The Mohammed bin Rashid Space Centre. Nayif-1 carries a 435/145 MHz transponder (FUNcube-5) for amateur radio SSB/CW communications. It is expected to launch along with other amateur radio satellites such as Fox-1C and Fox-1D on a SpaceX rocket between September and November 2016. Yousuf Al Shaibani, director general of The Mohammed bin Rashid Space Centre, said the satellite’s development was a testament to its commitment to develop Emirati talent. 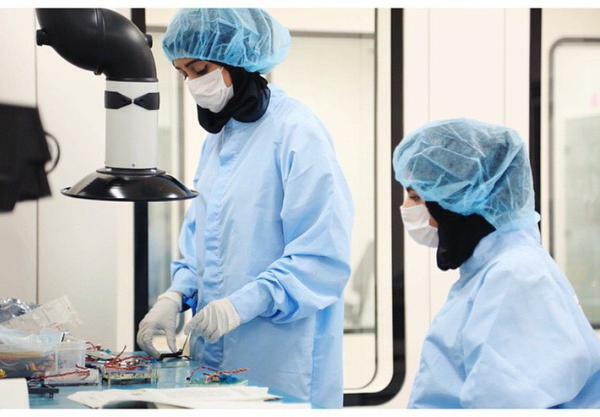 “There is no doubt that the field of satellite design and manufacturing is a new industry to UAE universities and students,” Mr Al Shaibani said. The satellite is about 10 cubic centimetres and weighs about 1 kilogram. One of its most notable features is that it is programmed to transfer messages in Arabic. “This is a great achievement and a source of pride for all of us,” said Dr Bjorn Kjerfve, chancellor of American University of Sharjah.